LOS ANGELES, Feb. 3 (Xinhua) -- Two people were killed and two others were hospitalized on Sunday after a small plane crashed in Orange County in Southern California, authorities said. 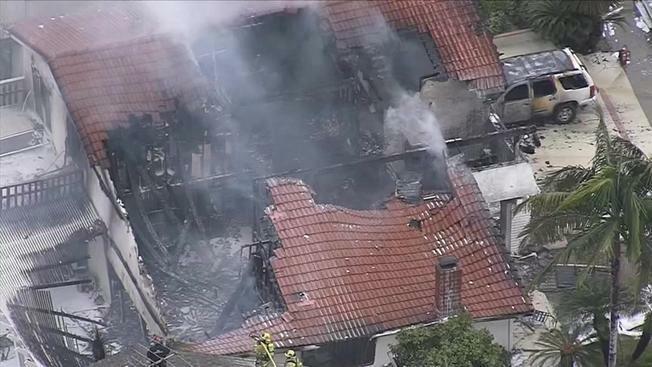 According to the Orange County Fire Authority, the small plane crashed into a single family house in a neighborhood of the city of Yorba Linda. The small plane is a Cessna 414A which had just departed the Fullerton Municipal Airport when the incident happened under unknown circumstances, igniting a massive blaze that involved multiple homes, local news outlet KTLA TV station reported. But Orange County Fire Authority clarified that only one structure was involved in the incident. A video from the scene showed at least one structure was on fire and debris of the small plane burning on the street.